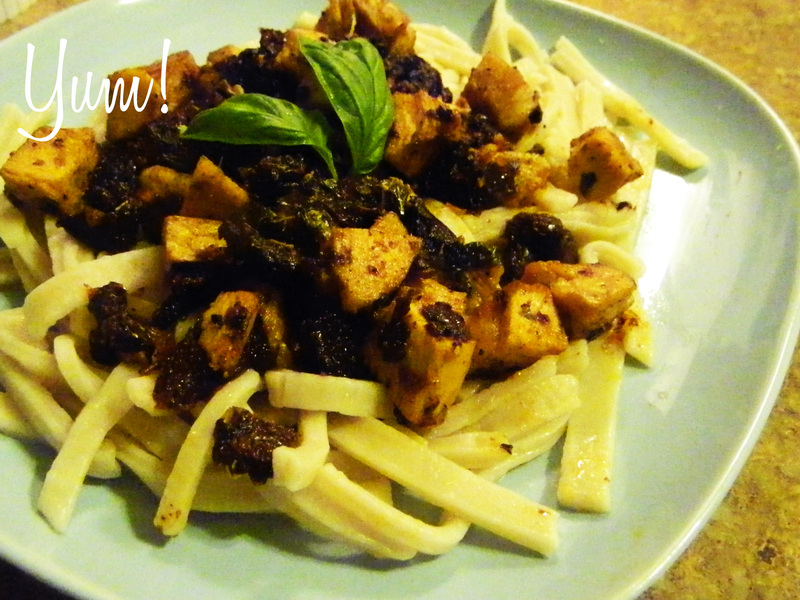 Anyways, this is a simple yet delicious recipe (aka the best kind!). 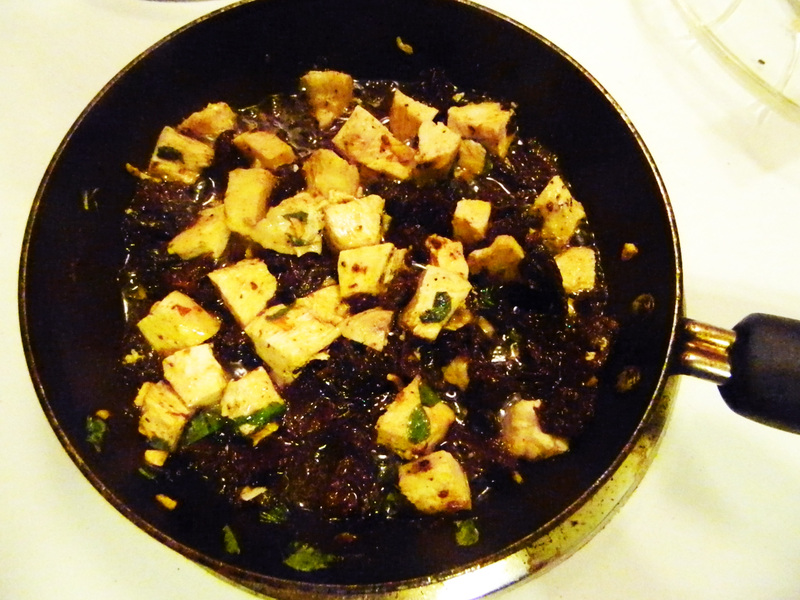 I’m always on the look out for things I can make up for dinner pretty quickly. 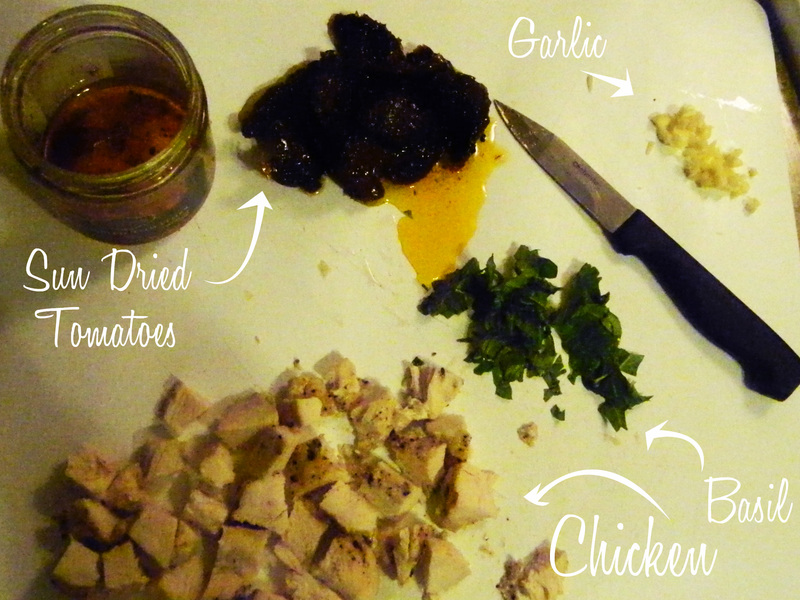 -1c cooked chicken breast cubed. Like I said, this one is super easy! Heat up a bit of the oil from the tomatoes, and saute the garlic in it. Add the rest of the ingredients (except pasta) and cook stirring occasionally until it’s all heated through. 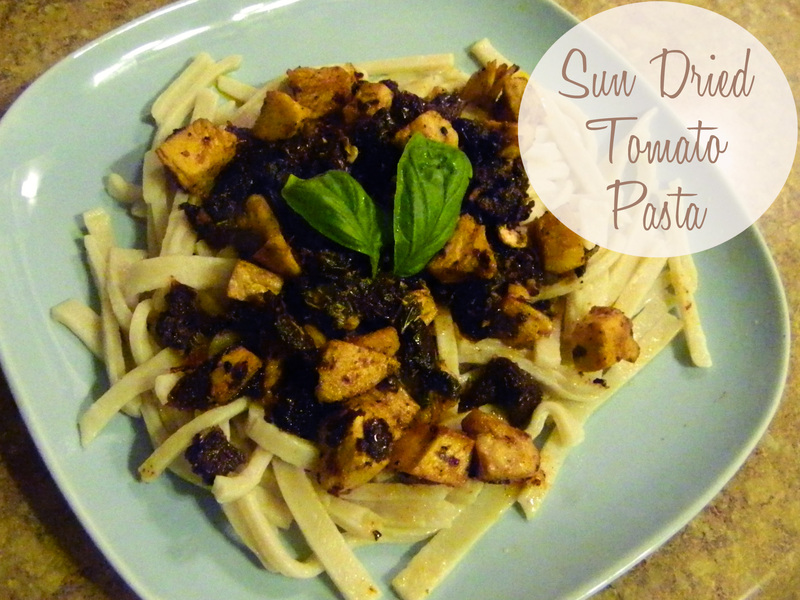 Now serve over the pasta and enjoy! Well that’s all for today! Hope you guys like it! I haven’t done one of these in a while… I’m a bit disappointed in myself for that…. but better late than never, right? 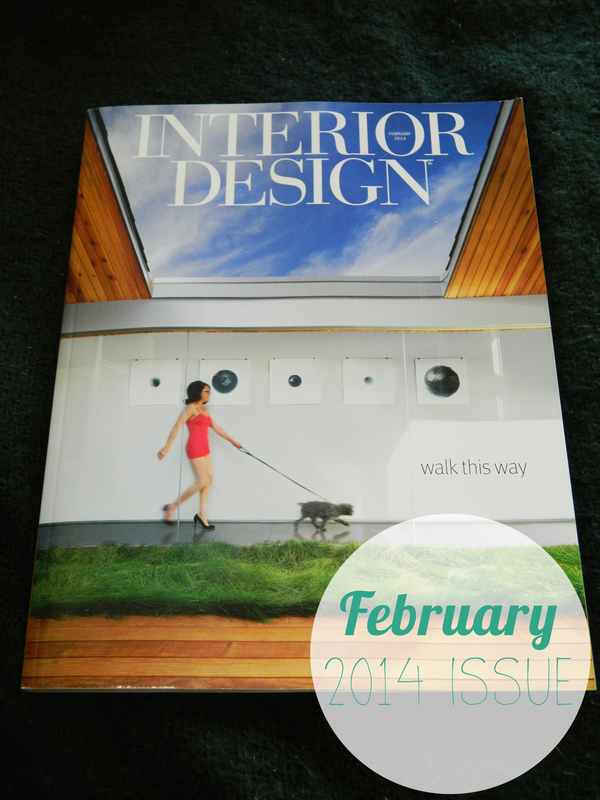 I really liked the February issue! It was pretty hard to pick my favorite projects out of this one, but here’s what I finally decided! 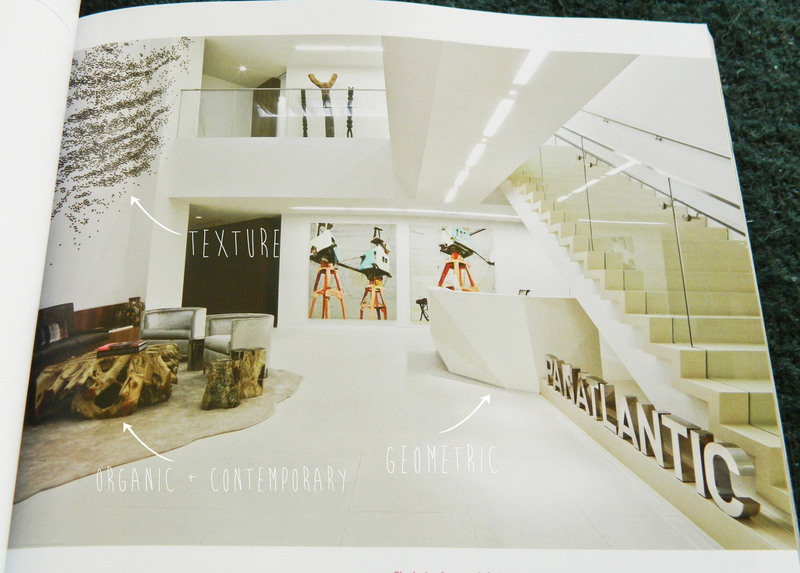 This is the PanAtlantic Exploration Company designed by Mayfield and Ragni Studio in Houston, TX. The thing I loved the most about this project is the combination of the organic stump furniture and artwork with the clean, white, contemporary design. 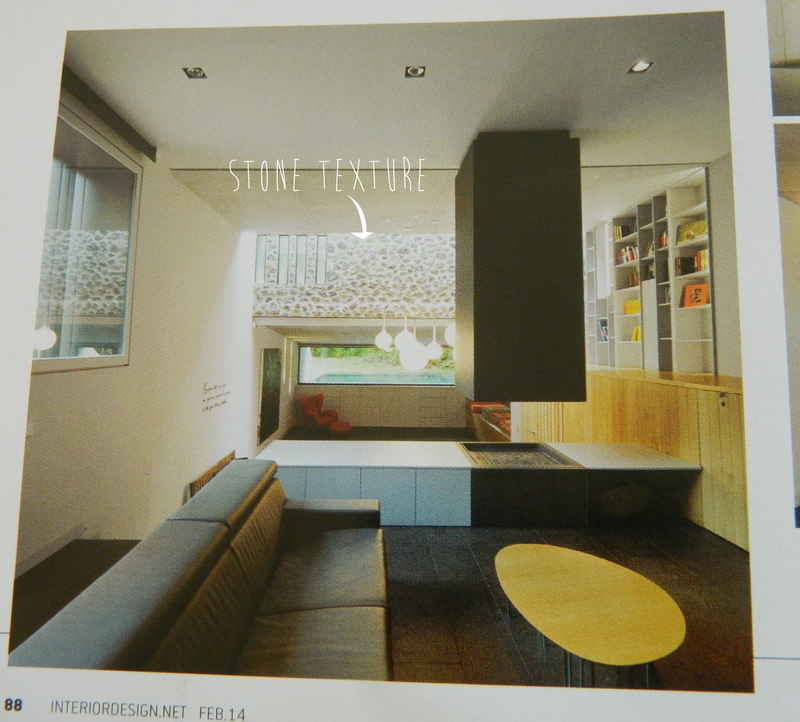 The reception desk is meant to mimic a geode rock. The organic components really add a wonderful texture and variation to the space. 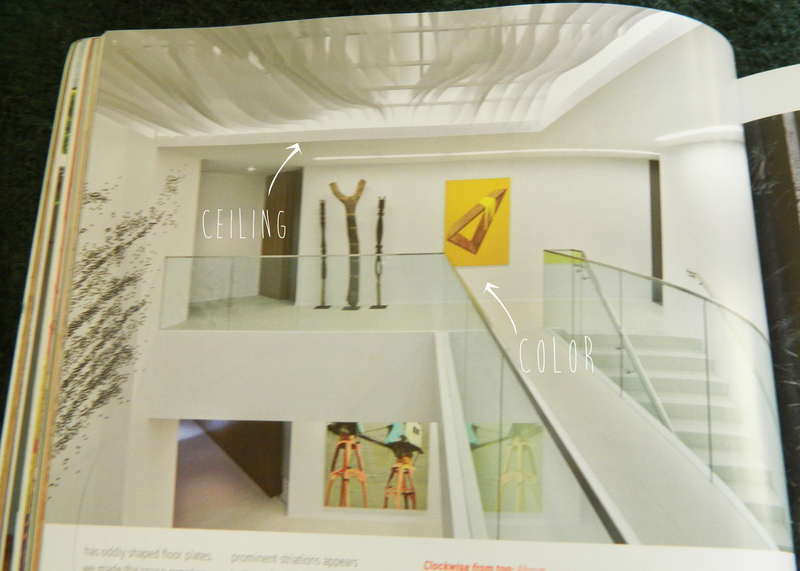 I also love the way the art was selected to add some color to the space, without being overpowering. 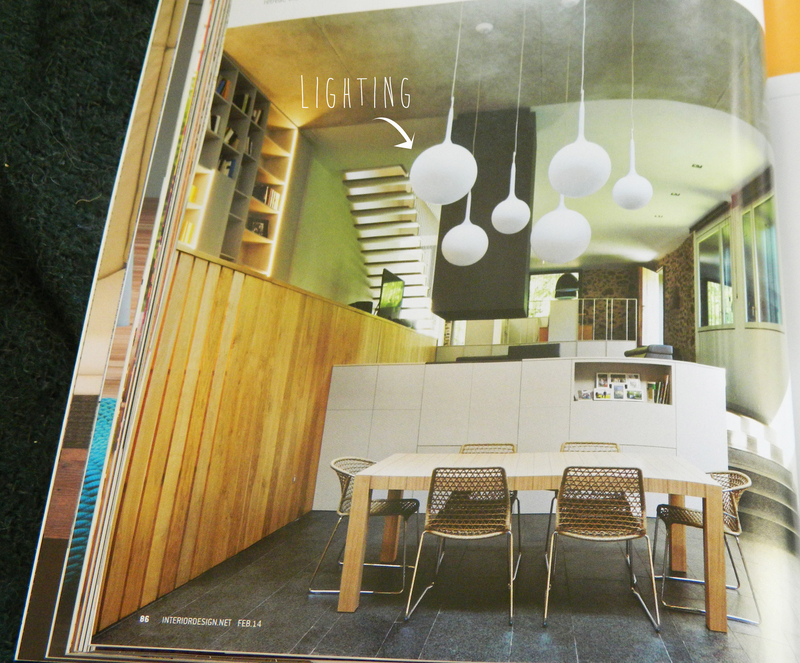 The ceiling is a fantastic feature as well. The wavy ‘fins’ cover a series of power efficient LEDs. 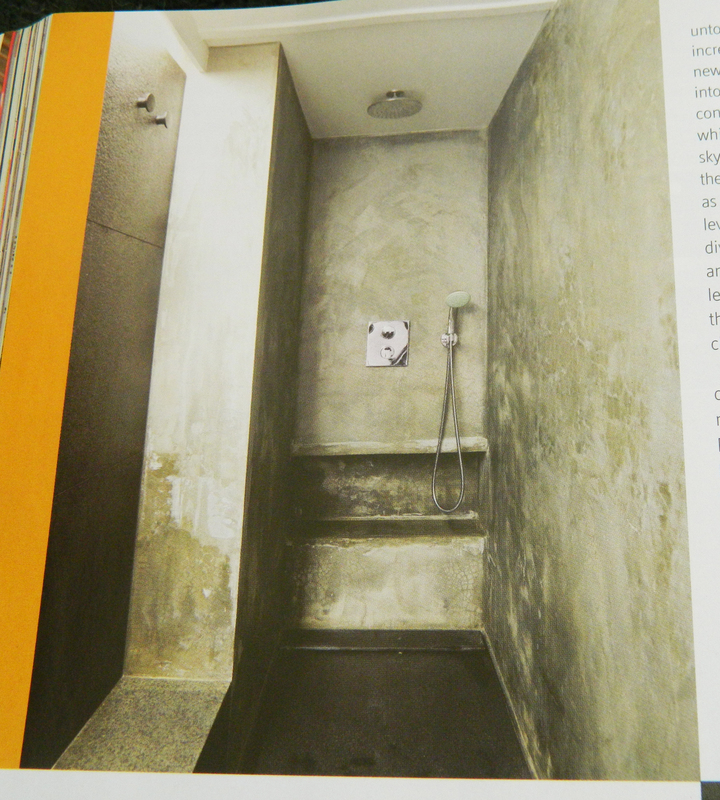 The idea was to give the feeling of being under the ocean, which adds to the organic nature theme of the space. 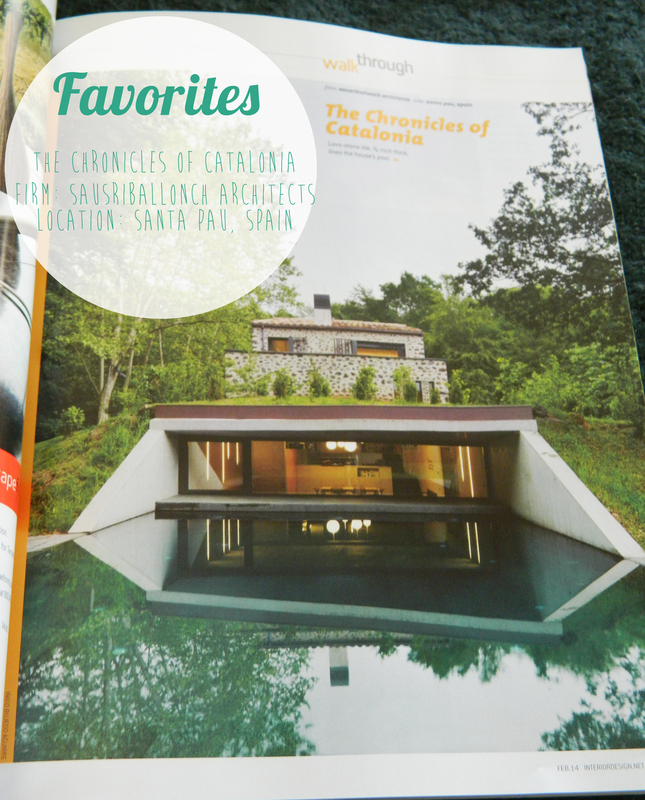 Another of my favorite featured projects is the The Chronicles of Catalonia. I can’t get over the way the pool is so seamlessly integrated into the house, and also how the whole set up seems so natural. It belongs in that forest just as much as the trees do! The whole design was done by Sausriballonch Architects, and is located in Santa Pau, Spain. When the homeowners purchased the home, it was a small lava stone structure. The architects dug out under it to add the dinning room and pool. One of my favorite things about this house (besides the whole being part of nature thing) is the lighting! Maybe I’m slighting partial to it because I work in a lighting store, but that is beside the point! I’ve always felt the Artemide Castores looked a bit alien, but the way they’ve been used in this house is wonderful! 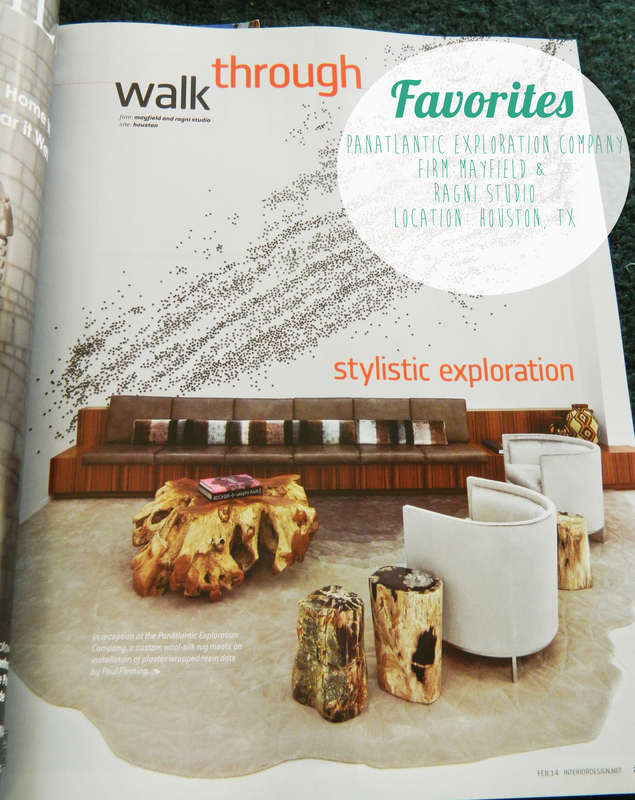 They contrast the natural wood and stone finishes, but in the best way possible. 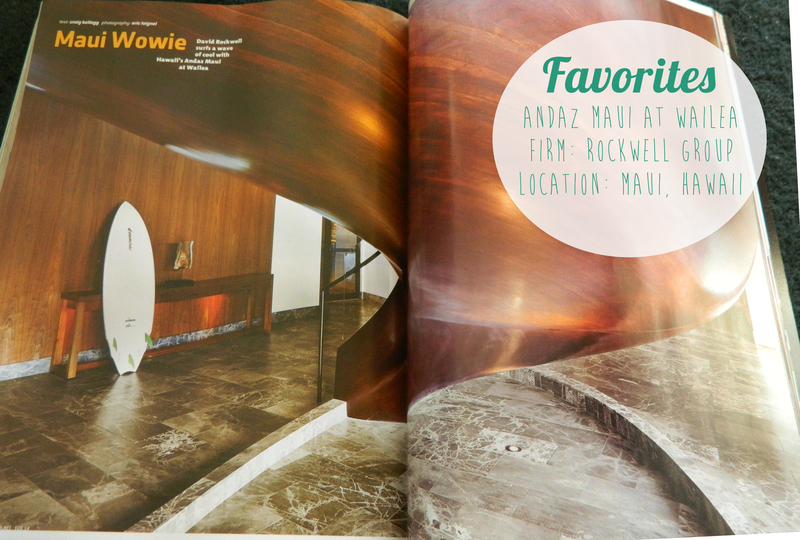 Alrighty, my final favorite pick for this issue is the Andaz Maui resort in Hawaii by Rockwell Group. I can’t get enough of this staircase! 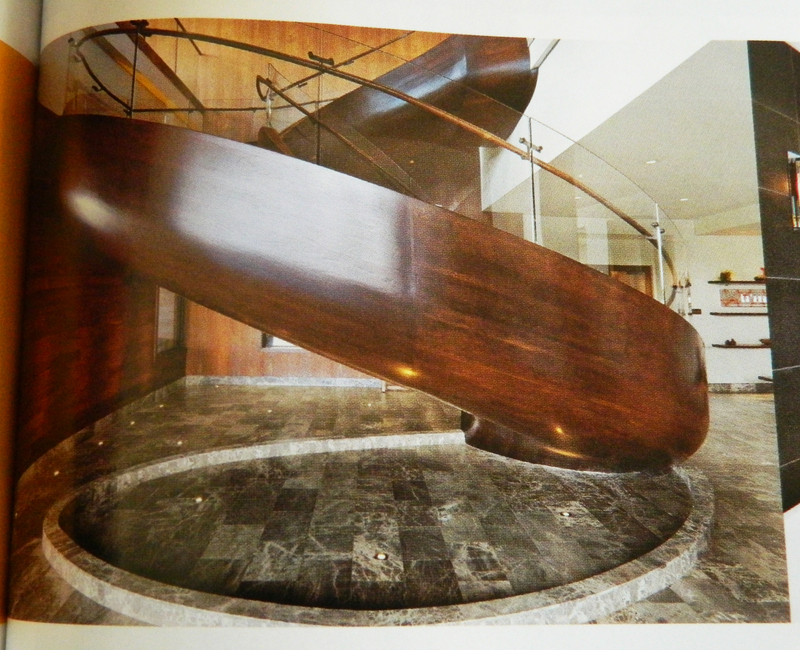 The curve and wood grain are just phenomenal…. A factor that was important when designing this resort was to make it feel like… well…. Hawaii. What better way to do that than by including a lounge area with sand?? I would love to sit there with my feet in the sand while sipping something tropical. 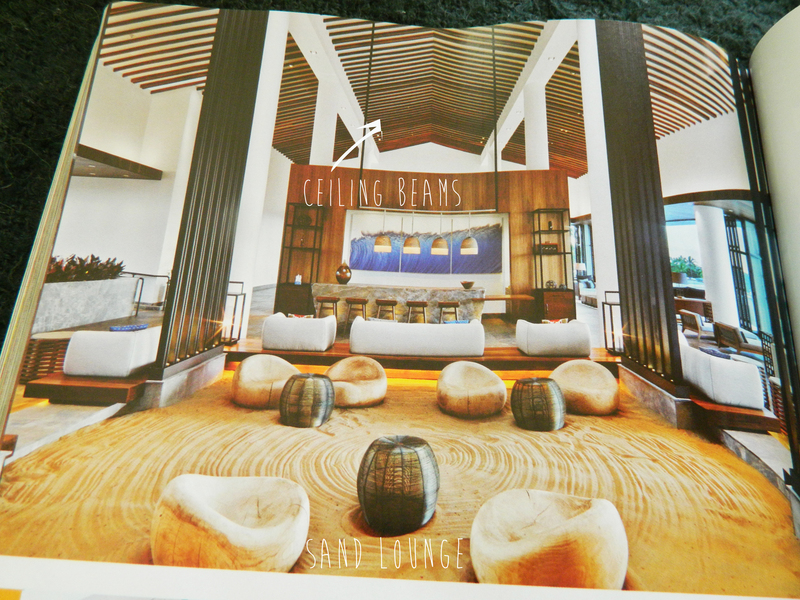 I also enjoy the walnut beams on the ceiling, and all the vertical elements that were included in the design. This image is of one of the villas. 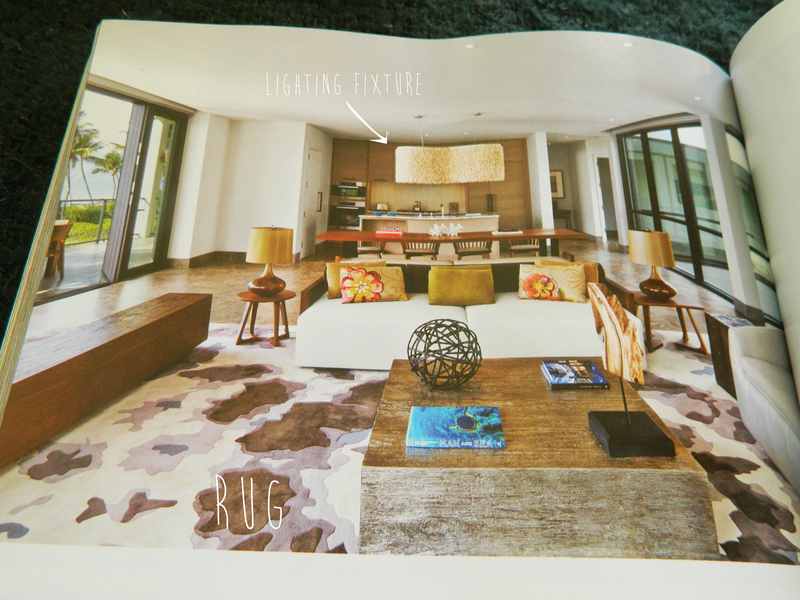 I really like the textures added with the wool rug and the lighting fixture over the table! 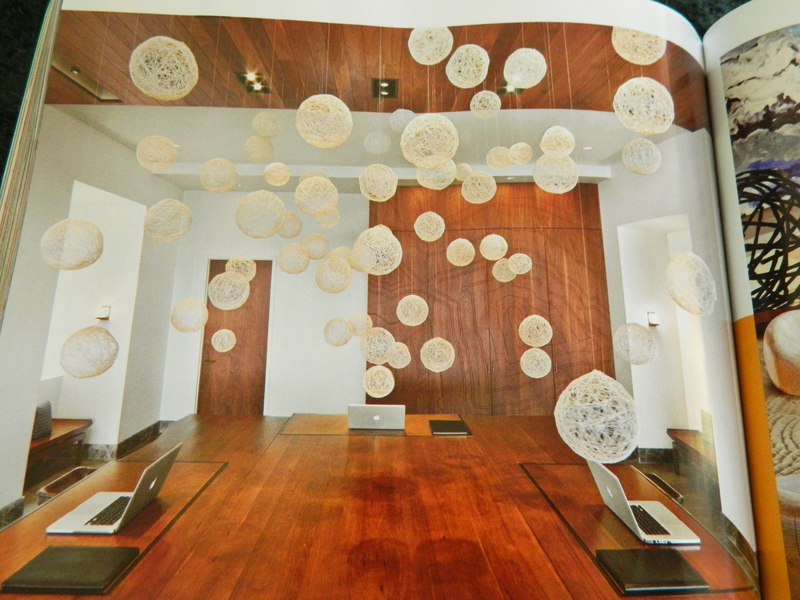 The pendants in the business center are amazing…. So are the ones over the kitchen islands in the event center. 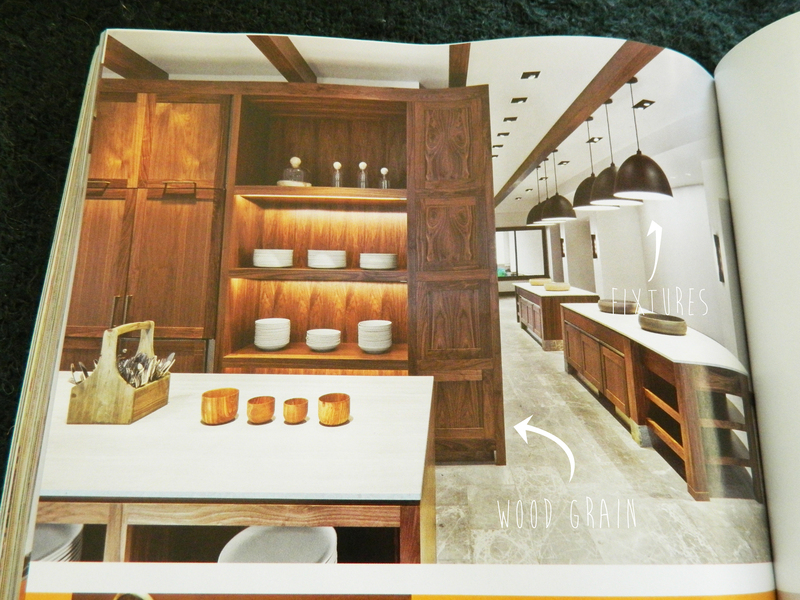 I also love the large wood grain in the cabinets! Okay, moving onto my favorite new products! I’ve been pretty big on geometric patterns lately. I love these shelves! They’re made up of different kinds of painted wood, and come in such fun colors! I would like nothing better than sit by the pool all day with a good book in one of these…. I’ve been pretty into watercolors lately. I love how messy and abstract they can be while still feeling so light. These rugs are just wonderful. Well, there you have it! 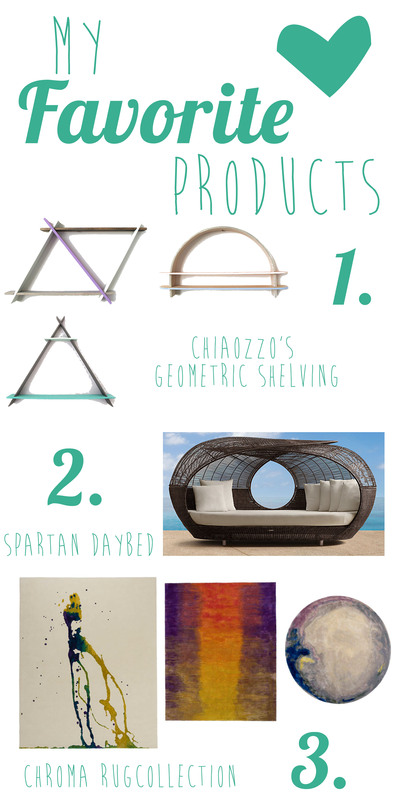 Be sure to check out Interior Design Magazine’s website for more information on any of the things I talked about in this post! On a completely unrelated note, The Whale’s Endeavor’s has been featured on the wonderful Jillian’s blog, ReFashionista, as a Reader Refash! Her blog was a huge inspiration for me, so I suggest you check her out! So one thing that has made me particularly sad lately (besides the fact that we just received ANOTHER snow storm after I thought it might be over!) 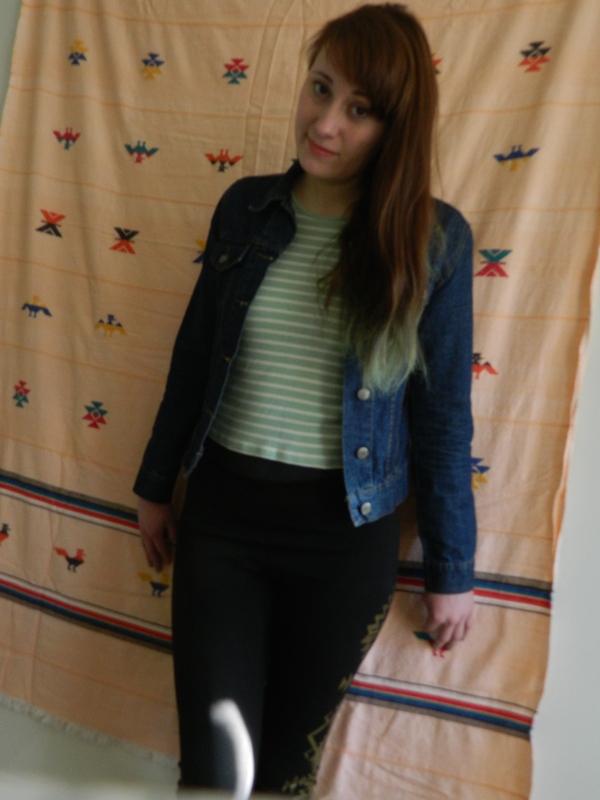 is seriously missing my tealish ombre hair! 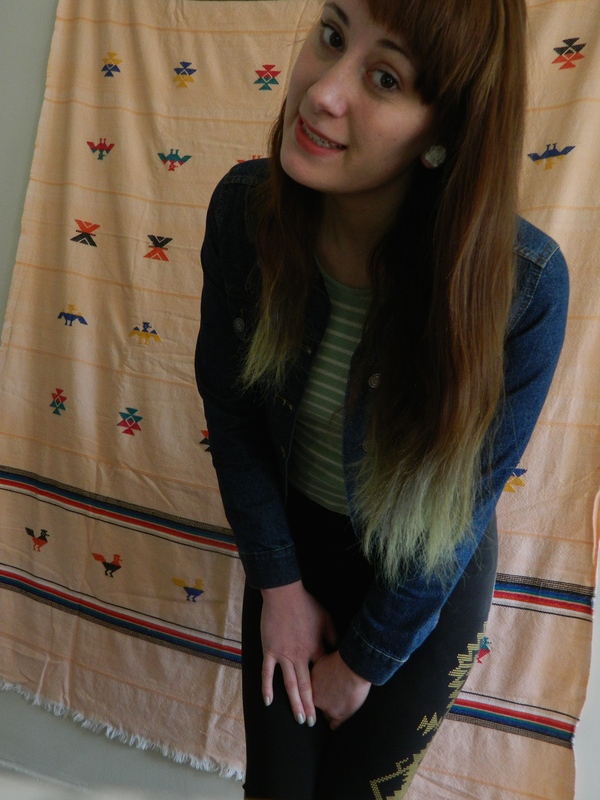 I was in love with that hair… but I was only able to keep it for a month or so before I acquired a more professional job… and thus had to opt out of just regular brown to blonde ombre hair…. which don’t get me wrong, I love my hair that way too, but the teal was just so much more fun! 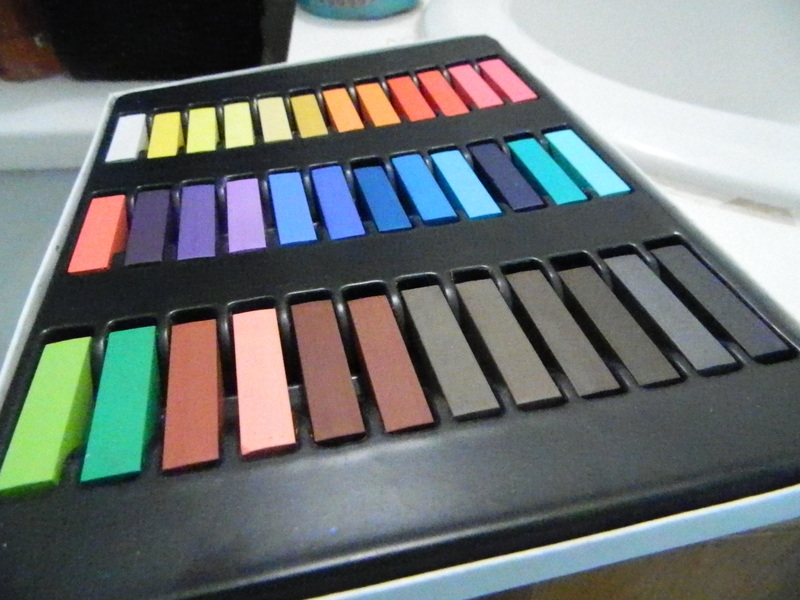 Anyways, I had known about hair chalk for some time now, but it wasn’t until I watched this video on hair chalking with normal soft pastels you could find in pretty much any craft store that I became VERY interested. 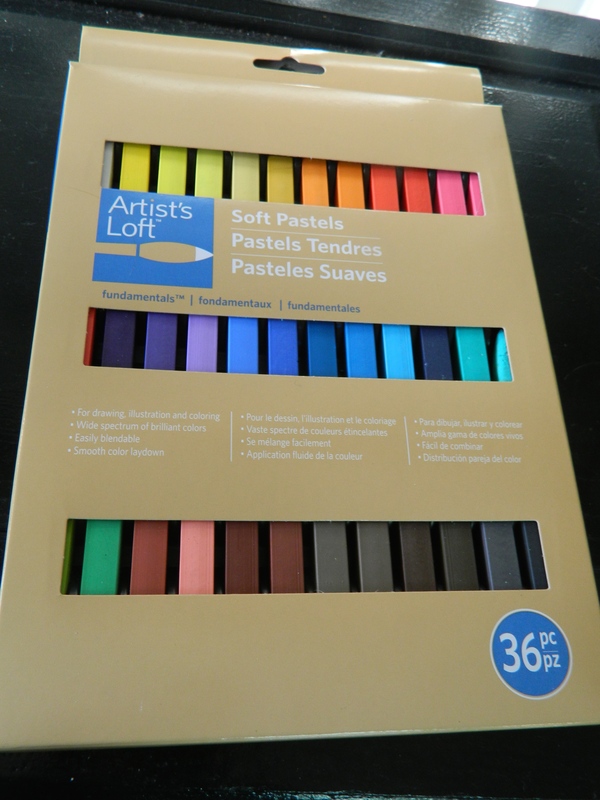 I instantly headed to the nearest crafting store (Michaels in my case) and grabbed up a 36 pack of soft pastels for less than $4! I was pretty stoked. 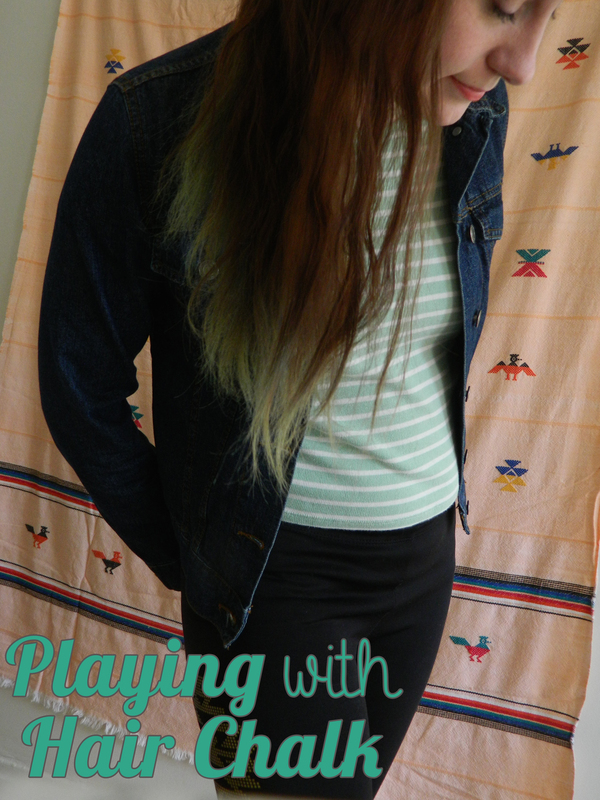 Hair chalking with the pastels is super easy! Just make sure you brush out your hair before you start. The video suggests using gloves; I didn’t, and it was fine, but it probably depends a lot on the color you choose. 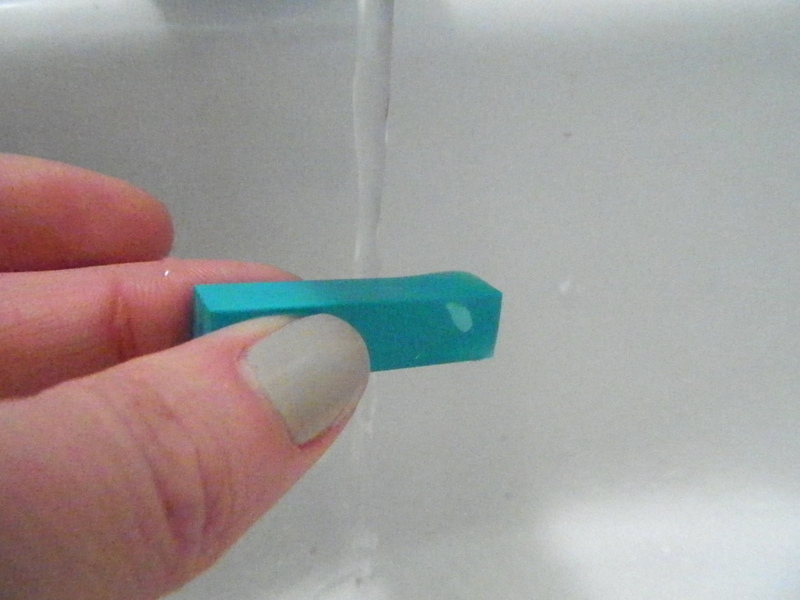 To get on with it, take a small section of your hair and dampen it with some water. Also dampen the pastel you’ve chosen, but not too much. We don’t want it to turn to mush. Now apply the pastel to the section of dampened hair moving it in one direction from the top of the section you want colored to the tips of your hair. Repeat this on sections of your hair until you’ve applied the color everywhere you want it to be. Now that that’s done, blow dry the damp, colored parts of your hair. Once its all dry, apply hair spray. This kind of seals the pastels in place. After that you can go ahead and style your hair normally with a curling or flat iron! Avoid brushing as much as you can though as the chalk will come out some every time you do. Now enjoy you’re fun colored hair! Don’t worry, it washes out pretty easily. I’m pretty excited to try a bunch of different colors for different occasions! Maybe I’ll do a green for St. Patrick’s day or something!